Freshbooks Review: Try it Free for 30 Days! Freshbooks has been a lifesaver for me as a small business owner.With that in mind, here is my Freshbooks review to go over my experience using the platform. Freshbooks has saved me time and made billing, bookkeeping and tracking the time I spend on client work much easier than it used to be. That’s also not to mention the fact that Freshbooks has saved us hundreds, if not thousands, of dollars in annoying PayPal fees. 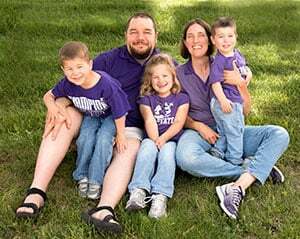 When I started working for myself about six years ago, I managed my invoicing and kept track of the time I spent on client work with a simple software program called MacFreelance. I had no idea how successful my business would be, or how large my client list would become. After a few years, the company that made MacFreelance wasn’t supporting it anymore and I was really beginning to outgrow it. 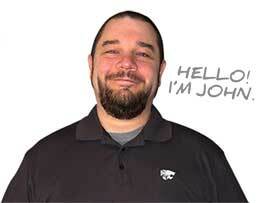 We had more clients and I needed a solution that wouldn’t require me to save all of my billing data on my hard drive. Despite frequent crashes that required me to restart my computer and constant fear of losing all the data on my in-progress projects, I held out on upgrading to a new invoice software solution because I didn’t want to take the time to learn a new system. Although I knew I needed a new self-employed accounting software solution, I felt I was too busy to learn how to use something new. One day, Mr. Frugal Rules had seen enough and gave me a deadline to find a simpler solution. Just a few nights later, I was at a local Meetup group with other advertising and web design professionals when I first learned about Freshbooks. I checked it out and soon decided it was the solution I wanted to move to. Easy Invoicing From Anywhere: Freshbooks really does make it easy to create invoices from your laptop, tablet or smartphone. 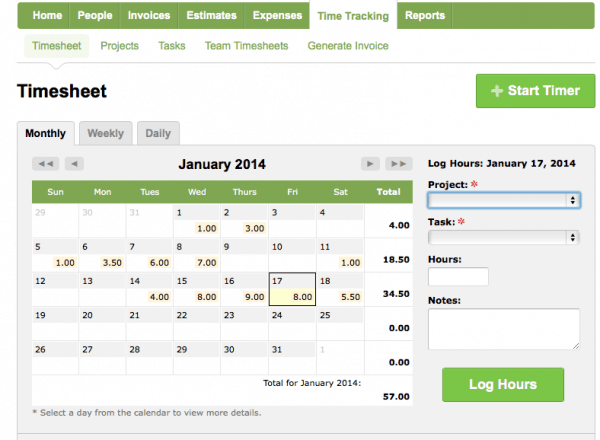 I’ve used the app to create clients, track time, create and send invoices and it’s pretty painless. It was easy to add my small business logo and personal information to the invoice template. Inexpensive Online Payments: One of my favorite features is that I can click a button on my invoice to allow my client to pay via PayPal for only $.50 as opposed to the standard 3-6% fee that PayPal generally charges for processing business payments. For those clients who prefer pdfs of invoices mailed to them, you can generate a pdf relatively quickly. Or, you can pay a small fee for Freshbooks to mail a paper invoice to my client for me. With three small children, I HATE running to the post office or grocery store just to buy stamps so this is a real plus for me. 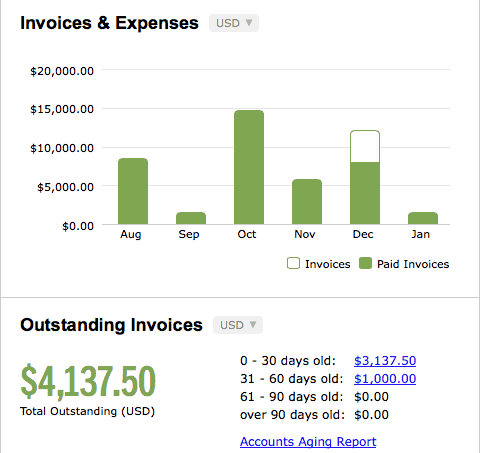 Invoice Tracking: Freshbooks makes it easy for me to see at a glance who’s viewed my invoices, who hasn’t, and who’s paid. All I have to do is click the “Invoices” tab from my homepage and voila! a handy list appears. They also populate my homepage with a graph showing how much invoiced charges are outstanding in increments of less than 30 days, 30-60 days 60-90 days and more. It helps me not to let late clients fall off my radar. Oh, and when I need to, I can resend an invoice with a personalized message, all from the user-friendly interface in about 60 seconds. Convenient Time Tracking: Much of my client work is billed on an hourly-basis so one of my must haves was an accounting solution with a built-in time tracking feature. Freshbooks has that. I can quickly create a new project and either enter time when I’m done or click the “start timer” button to track my time in real-time. The system keeps track of how much time I’m spending and automatically accrues it with the appropriate project. If you charge strictly by the project, Freshbooks has a simple feature that allows you to track that as well. Variable Pricing Plans: Freshbooks lets any new user try its product free for 30 days, which allows you to try it out before moving all your business accounts over to it. Available plans range from free to $39.95 per month. Choosing the option that’s best for you depends on how many clients and team members you have. Those are just a few of the features of Freshbooks that I use every day that has made it one of our favorite business tools to use. There are plenty other features to explore regarding reporting, tracking expenses, managing team timesheets, creating estimates, tracking sales taxes and much more. The Freshbooks website does a great job of explaining the features in a way that’s easy to understand and digest quickly. There are many advantages for small business owners when it comes to this software solution. I’ll outline a few of them below. Cloud Accounting Solution: One of the biggest advantages, in my opinion, is Freshbooks stores your billing and customer data OFF your hard drive and in the cloud. That means you can access it anywhere you have an internet connection, which is comforting and freeing. Now I know if my computer crashes before I can backup my business accounting files, they are still safe and accessible. 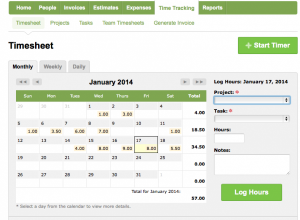 It’s a Real Time Saver: This solution makes it easy to keep track of client time, projects, payments, overdue invoices, and expenses. I bet I’ve easily saved at least an hour a week just by not having to restart my computer after a software crash from the old invoicing system I was using. Their Customer Service is Free and Top-Notch: Freshbooks regularly communicates with me via email offering to help answer any questions I have about how to improve my experience with or better use the software. The emails always have a person’s name and phone number associated with them too. It’s hard for me to find a lot of disadvantages with Freshbooks. Although it’s not the cheapest option out there, it really has saved me time, which in the long run, saves me money. Not Great if You Don’t Have a Large Client List: If you have 5-10 clients, Freshbooks may not be the best solution for you. You’ll pay $20/month and for that reason, you may not feel like you are getting your money’s worth. If you have a larger client list and multiple team members who you want to be able to track time and create invoices for, then Freshbooks is a reasonable solution. I highly recommend Freshbooks to anyone who is self-employed or a small business owner who has a growing client base. It’s easy to use, pretty to look at, reasonably priced and will save you both time and money by keeping you on top of late payments and saving you money on online payments through PayPal. If you are a small business owner looking to upgrade your accounting software, Freshbooks is worth a look – especially considering they offer a free 30 day trial to see if it’s for you. 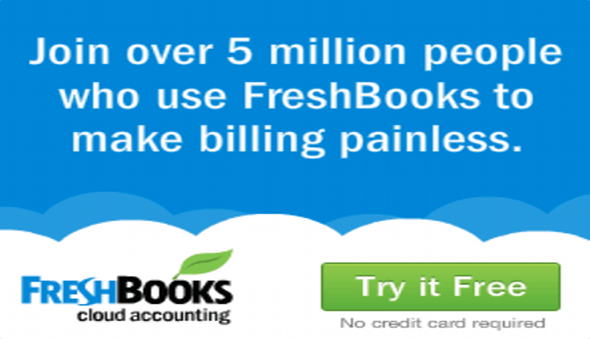 Sign up for a free 30 day trial of Freshbooks! What do you use to invoice your clients and manage your books for your small business or side gig? Have you tried Freshbooks? If so, what’s your take on it? Thanks for a great review, Nicole. We use Quickbooks, which works for us, but things are starting to pick up blogging wise and I’m not sure it’ll work for us forever. Love the idea of a cloud-based system too! Thanks Laurie! I know the feeling, which I guess it’s a good problem to have. 🙂 The cloud-based system is great, definitely is a time saver! I love freshbooks. It’s what i use for invoicing. We do as well Tonya! It makes managing invoicing so much easier in my opinion. Slick interface … I’ll have to give it a try! I loooooove Freshbooks. Honestly the attention to detail is so great. I love how mine is hot pink when I sign on and it made my taxes so much easier!